As if I couldn’t fall in love with Keira Knightley any more, she is starring in the upcoming music film Begin Again written by John Carney (Once) alongside pop musician Adam Levine who play two college sweethearts and songwriter partners taking the New York music scene by storm. Seven years since Irish-musician-turned-filmmaker Carney made Once–a small film turned phenomenon about a street musician trying to record music–Carney is making a return to musical film. Though, as music films tend to focus their dialogue on connecting the songs with the narrative throughout, this “stealth musical” works the other way around. Rather than writing music as part of the dialogue, this music arises organically from the narrative itself to connect and develop characters. For any intensive music-lover obsessed with studying the lives of musicians, recording artists and industry professionals, Begin Again is a movie that I am sure any passionate soul for music has been starving to see. It’s been some time since modern cinema has last seen a film that genuinely captures the heart and soul of a musician, and I feel this one might just bring that back. Photo courtesy of BEGIN AGAIN, the Weinstein Company and Exclusive Media. This film seems to capture the industry today in an entirely raw and genuine way. As many musicians feel their work is being taken advantage of or are assumed to write for free, many have difficulties making ends meet. And, rather than portraying an A&R guy as a stereotypical greedy monster in his film, Carney explores the humane spirit of these industry professionals, finding that the business is not only a reason to pay for their living, but their reason to live. The changing music scene, though, is coupled with individuals who genuinely love what they do, even if it’s not enough to make ends meet. 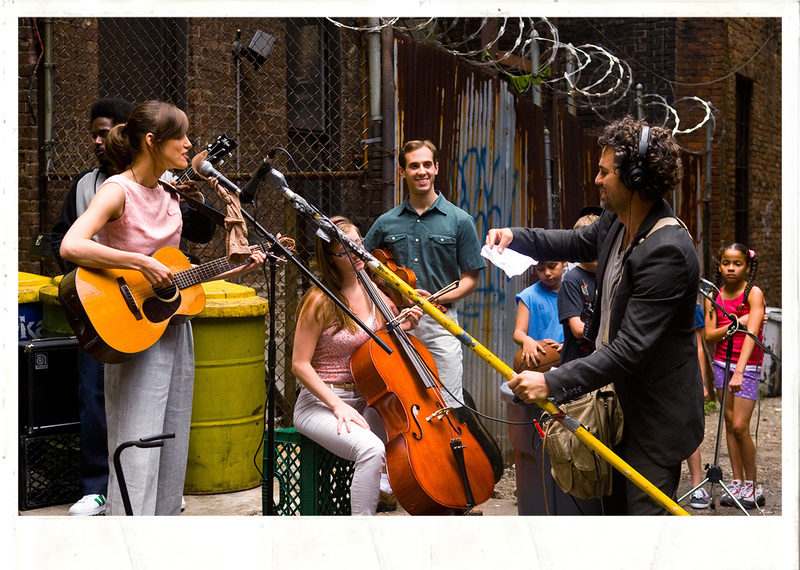 Released in limited theaters this Friday and everywhere July 2, Begin Again, as from their website, is a said “soul-stirring comedy about what happens when lost souls meet and make beautiful music together.” As they find their way through music, hardship and chance encounters, I couldn’t be any more excited for this film to come out, for I feel this will particularly resonate with everything that matters to my life. I was quite intrigued by this film, mainly based on Keira and being a huge fan of her and her work but now reading your take on the film, and as someone who wants to get into the industry (and LOVES music) you have made want to go and see it. It’s not so much a movie about going into the industry as much as it paints a portrait of the industry today. Though, it does celebrate the pure integrity some musicians hold, which is what gives it its charm. I’m so glad I’ve inspired you to see it though. I’m itching to see it again… When you do, let me know how you like it and what you take from it!